Switch the green in the top left with the blue in the bottom right. To do this move the green in the top left two squares to the right and down four. Move the blue in the bottom right up two squares to make room for the green. Now move the green left two square to put it in the bottom right corner. Move the blue left four and up two. You should now have two blues diagonally opposite each other in the top corner and two greens opposite each other in the bottom right corner. Use the same maneuver to switch the yellow in the top right with the red in the bottom left. Move the yellow in the top left down two and right two (this gets it out of the way). Move the blue in bottom left up four to top left corner. Move the yellow left two and down two. You should now have three blues in the top left and three yellows in the bottom left. Repeat this maneuver with the red and green on the right side of the board. Move the red in top left two squares to the right and two down (this gets it out of the way). Now move the blue in top right four squares to the left. You should now have all four blues in the top right. Move the red up two square and to the right two leaving all four reds in the top right. 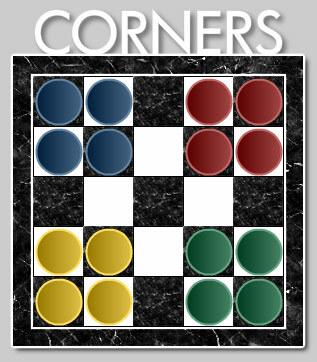 Repeat this maneuver with the yellow and green pieces on the bottom of the board. The puzzle is now solved. Block breaking game. Remove the viruses when they are close to other same color viruses.